For ¡Olinguito, de la A a la Z! Descubriendo el bosque nublado / Olinguito, from A to Z! Unveiling the Cloud Forest, author and illustrator Lulu Delacre had a clear vision for her book. Our job was to bring that vision come to life in a way that made for an optimal reading experience. We met with the author and editor to discuss the specific challenges for the lyrical text of this bilingual alphabet book. 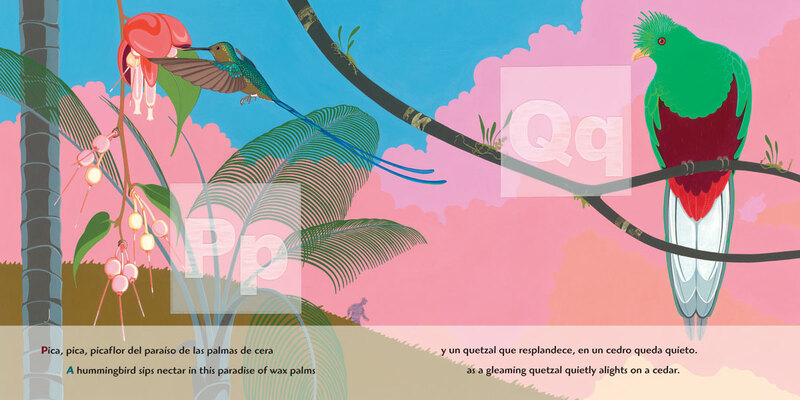 After experimenting with fonts, placement and colors, we developed a type treatment that set the Spanish and English apart, but allowed for fluid reading from spread to spread. 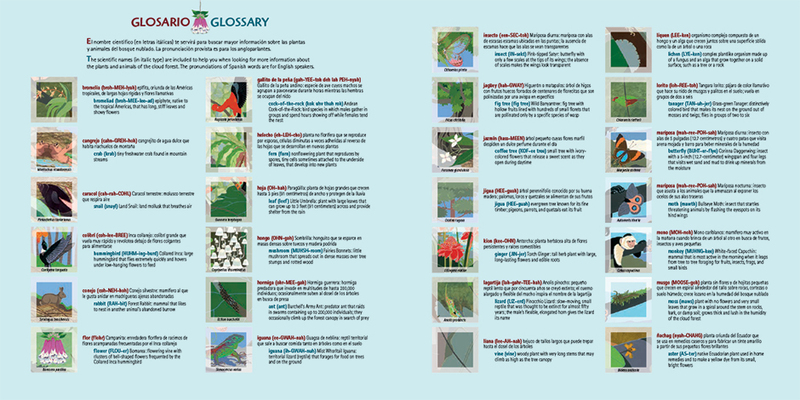 The glossary continues the color coding and indents and adds, where required, the latin names for plants and animals as captions on the ghosted portion of the glossary illustrations. 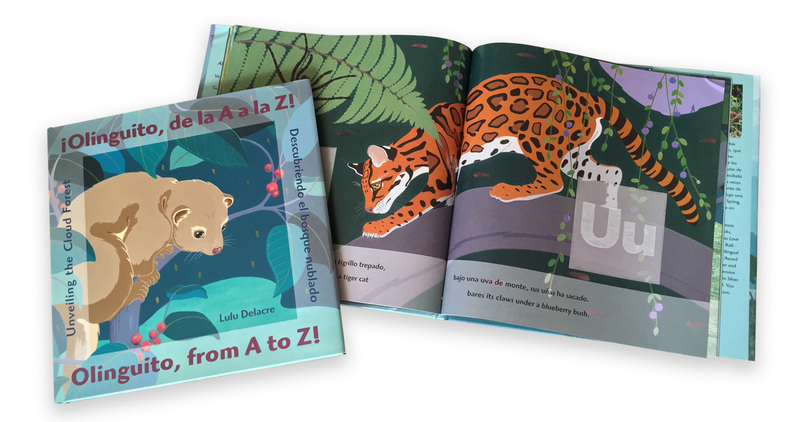 Neustudio can design bilingual and multilingual children’s books. We have the expertise to make appealing, readable titles that move smoothly through print production and manufacturing. We’d be happy to discuss your next book project, just fill out the form below.